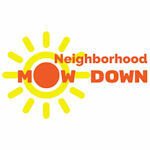 We want to make it easier for neighbors to be involved in their neighborhoods. Through our community-based initiatives, we provide the tools necessary for neighbors to “fight blight” and improve the quality of life in neighborhoods. Our initiatives range from one-year agreements to educating residents on ways they can report blight using their phone. The Neighborhood Mow Down Program is a partnership with Keep Houston Beautiful to work with neighborhood groups and maintain weeded lots. This program helps eliminate eyesores and public safety hazards created by irresponsible property owners while helping the City address the problem more efficiently. 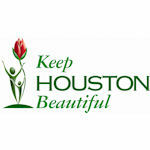 In partnership with Keep Houston Beautiful and other City of Houston departments, we provide a Tool Warehouse to support community groups with beautification and cleanup projects. 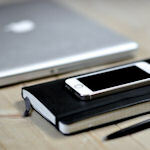 Groups are required to participate in a training, provide a refundable deposit, and fill out the necessary request forms. “Bandit Signs” are a form of litter along streets and utility poles that decrease the value of neighborhoods. 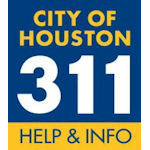 Neighbors can call, e-mail, or use the Houston 3-1-1 mobile app to report this litter to our Sign Code Enforcement division to have them removed and go after the person responsible. We are working with neighborhoods to design a “train-the-trainer” program to share information about how to identify and report neighborhood code violations, how to organize clean-up and beautification projects, as well as how to navigate volunteer opportunities and City services. For more information, call (832) 393-0857 or e-mail academy@houstontx.gov. 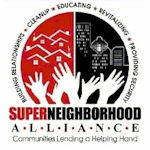 We can make a big difference when we work together so we are committed to helping neighbors connect to neighborhoods. As part of the Department of Neighborhoods, we work together to help support civic associations, super neighborhoods, international communities and people with disabilities. We have a passion for cleaning neighborhoods, but we aren’t the only ones! We work with many partners who are also passionate about improving neighborhoods through programs to “adopt” community spaces, clean waterways, plant community gardens, and create public murals.